Put a limit on the amount of respondents to your surveys. 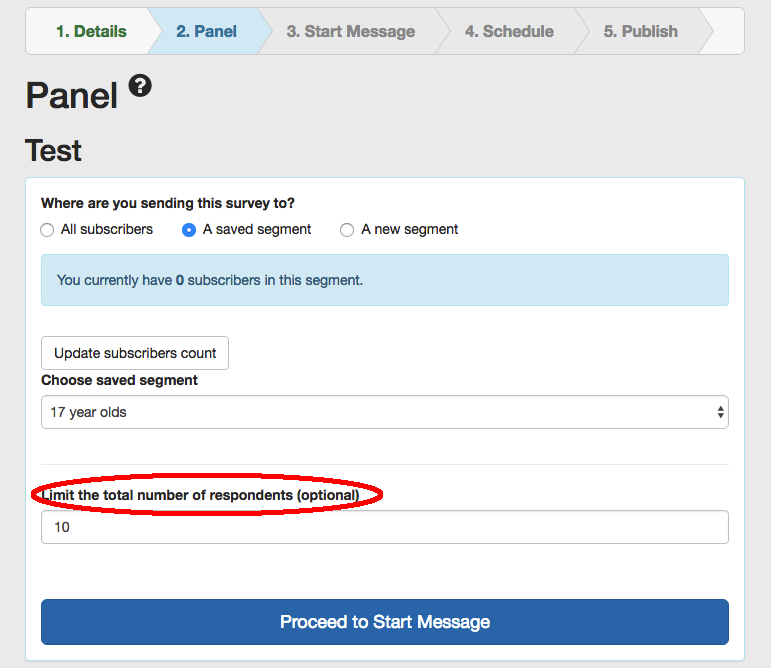 Surveybot has a feature where, when creating a campaign, you can choose to limit the amount of respondents who will receive your survey, which can be helpful to keep it at a manageable level. To do this yourself, check out this how to video or follow the steps below. To do this, you go to the 'Panel' step in creating a campaign and enter your value into the field for limiting your respondents at the bottom, which is circled in red below. You'll then be able to see at the publish step that your survey is limited to the amount of respondents that you have chosen.